What a beautiful sister. I love her outfit and she has a compelling face/smile. Mashallah! 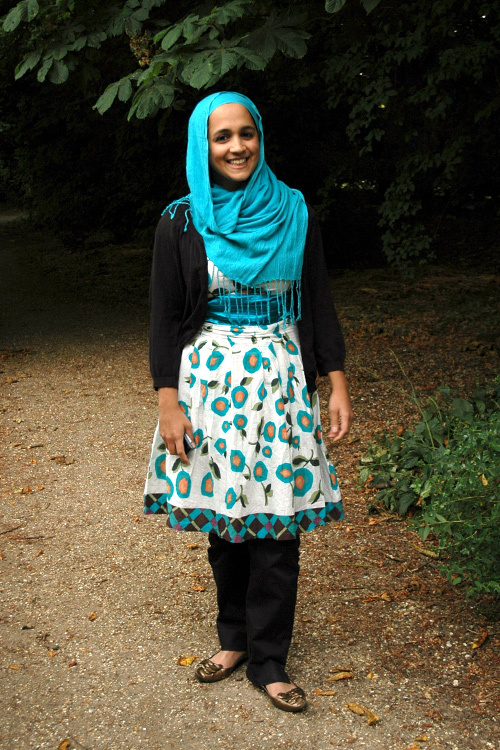 the color of the hijab and pattern on her top looks gorgeous. how great and gorgeous does this sister look? SO beautiful MASHALLAH!!!!!!!!!!!!! !